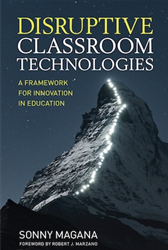 The best-selling Disruptive Classroom Technologies introduced the T3 Framework for Innovation, a modern pedagogical model that was shown to quadruple student achievement. Sonny Magana has advanced our understanding of the Visible Learning and used this to advance a major step forward. 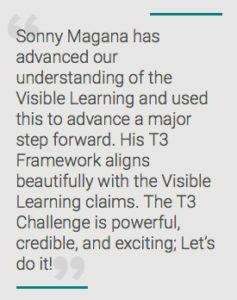 His T3 Framework aligns beautifully with the Visible Learning claims. The T3 Challenge is powerful, credible, and exciting; Let’s do it! ← Previous Previous post: Hey Mister Can We Have Our Ball Back?